Inspired by an iconic summertime tipple, this stacked cake is soaked with fruity Pimm's and topped with mascarpone cream, fresh strawberries and strips of cucumber. This showstopping bake is surprisingly easy to make and perfect for serving up at your next party. 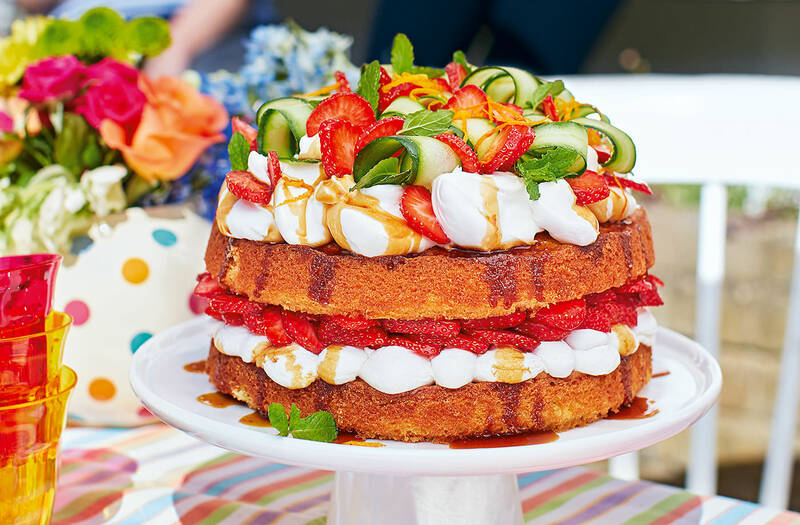 Tip: To avoid a soggy show- stopper, decorate your cake with the remaining strawberries, mint, cucumber and Pimm’s syrup just before serving.